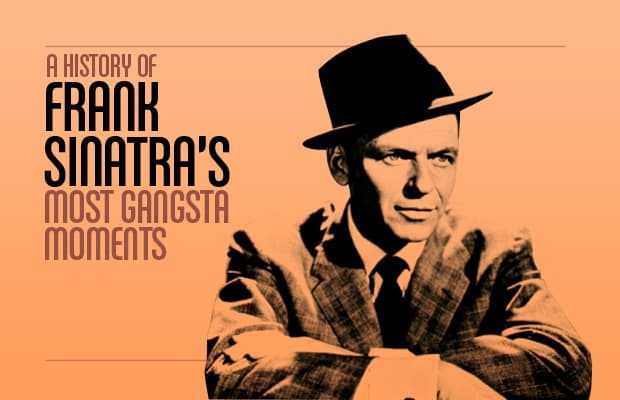 From blue-haired old white ladies to the illest hip-hop kid on the block, everybody loves Frank Sinatra. Rappers like Jay-Z have boasted about being “the new Sinatra” while Diddy thinks of himself as “the Black Sinatra,” but neither boss has the kind of swag to rival the original Chairman of the Board. Maybe that’s why over a decade after his death we’re still celebrating Ol’ Blue Eyes. This week a new Sinatra compilation album hit stores, Sinatra: Best of the Best. With his songs still a huge part of American culture, we figured it was the perfect time to take a walk through the Rat Pack glory days and discover the moments that made Frank a true O.G.